CHP says girl in 2001-2003 Ford Escape with roof rack and custom wheels. The California Highway Patrol issued a statewide Amber Alert Thursday afternoon for a missing teenager from Washington State. Washington police said a 14-year-old girl was abducted in the town of Kennewick at 2:30 p.m. Wednesday. 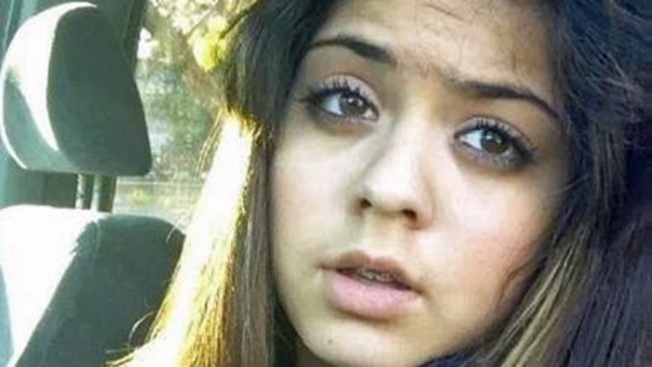 The CHP issued the alert because they think the girl and her abductor may be headed to Mexico. Her boyfriend, Edwardo Fabian Flores Rosales, was last seen driving a 2001-2003 green Ford Escape with a roof rack, custom wheels, and temporary Washington plates. A surveillance photo of the actual vehicle is below. The victim, Elizabeth Romero, is a 14-year-old Hispanic female. She has brown hair, is 5'3" and weighs 130 pounds. She was last seen wearing a white tank top and dark pants. She was carrying a backpack and a pink purse. Anyone who seems them is asked to call 911. The photo on the right below is surveillance video of the actual vehicle Flores was last seen driving.